We serve the needs of older children and youth, regardless of their ability to pay. From $30/month to $100/month, with your compassionate help, we can continue to do what we’ve been called and trained to do! Provide snacks, supplies, and materials for art, music, and entertainment. Feed teens through the Rocketown food plan. Without this plan, many of our youth would either go without food or steal. 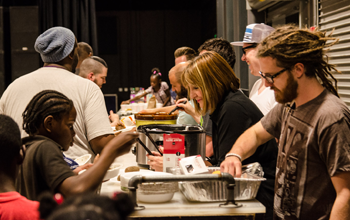 Feed children and teens during weekly Potluck Bible Study, allowing those without financial ability to volunteer, eat and be a part of the discussion. Give youth purpose through the Gearheads program (working on engines or detailing cars). Keep youth on track and engaged through Girls Group/Men’s Night. 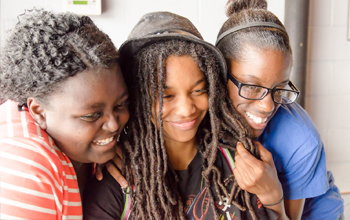 We provide opportunities for members of each group to express themselves creatively while addressing issues of self-esteem, trust, and respect. Feed Skate Church youth. Tuesday evenings we come together, talk through part of the Bible, and pray for each other. Skatechurch is free and open to everyone. We create a nonthreatening environment for young people to ask spiritual questions and find support. 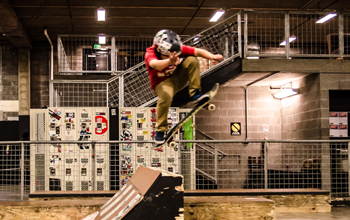 Provide a low-income teen with a helmet, skateboard and yearly membership to Sixth Avenue Skatepark. Many who receive scholarships come to Sixth Avenue every day. If not for the scholarship, they tell us they likely would be involved in gangs, drugs, or other delinquent activity. Summer can be a dangerous time for older children and youth! Being home all day without plans or purpose can lead to experimentation with drugs, sexual activity, gang involvement, or a variety of other delinquent activities. Support a young person to participate in Summer Sessions and ensure he or she has a safe place to go, new skills to learn and new friends to make. 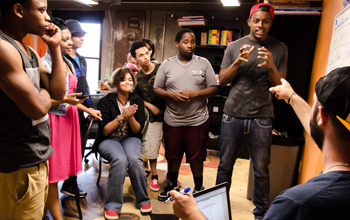 Provide a low-income teen with one hour of tutoring each week. Want to stay in touch and updated on all that is happening at Rocketown?